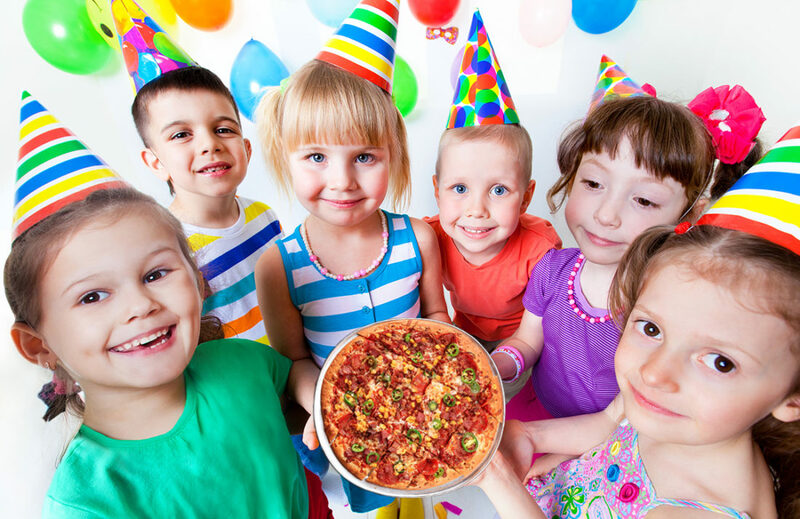 Tips to Make Your Kid’s Pizza Party Birthday a Success! Every child loves a pizza party! It is a great way to entertain young kids of all ages, from 4 to 14. At Palio’s we love when we get to see families and groups of children come in to celebrate a birthday! The sound of laughter filling the restaurant puts a smile on our faces. Over the years, we’ve picked up on a few tips and tricks that can really make the party a memorable experience and create a more smooth-sailing day for the adults involved in hosting. When dealing with young children, it is important to have entertainment to distract them and keep them occupied! Not only does this create a fun time for the kids, it is also a moment for parents to snap photos and create lasting memories. Birthday hat or sign coloring – Have your guests decorate their own birthday hat or all work together on a big happy birthday sign. This is a great way to get the kids busy as soon as they arrive, which helps eliminate the downtime waiting on guests to arrive. Pin the tail on the donkey – It may seem a bit cheesy, but depending on the age group of kids, you would be surprised how much fun this game can be. The kids will be laughing and the parents will too! Craft time – In addition to being a great way to keep their attention, you can save money by using the crafts as part of the party favors! Try getting a blank canvas tote bag and have the kids decorate it with markers and stickers. The birthday cake or whatever type of sweets you decide on are the fuel of a kid’s birthday party! This is the one time it is okay to let them have that sugar rush. Something we have noticed, the look of the cake isn’t as important as you may think. Don’t worry about the super elaborate decorated cakes, opt for one that serves everyone and tastes great! Decorate mini-cakes – a fun idea and way to entertain the kids is to prepare small cupcakes with icing only, and then have a decoration bar available with sprinkles, chocolate chips, mini-marshmallows, etc. The kids will love getting to customize their own cupcake! Often times we see parents get too wrapped up in details to remember to take in the party and try to remember it. Have a friend be a dedicated photographer – they can use their cell phone for images, but they are making a conscious effort to capture everyone in attendance. Dedicate a small area as a “photo booth” – have accessories for the kids to put on for fun images. Having Fun is What it is About! Just remember, do not get bogged down by the details! This day is about making memories and enjoying your child having fun. As long as everyone is laughing and smiling, the pizza party will be a success! Palio’s is always here to help make your day special. Give us a call to book the space today and feel free to ask us how we can help! We love helping to celebrate birthdays and putting smiles on people’s faces.